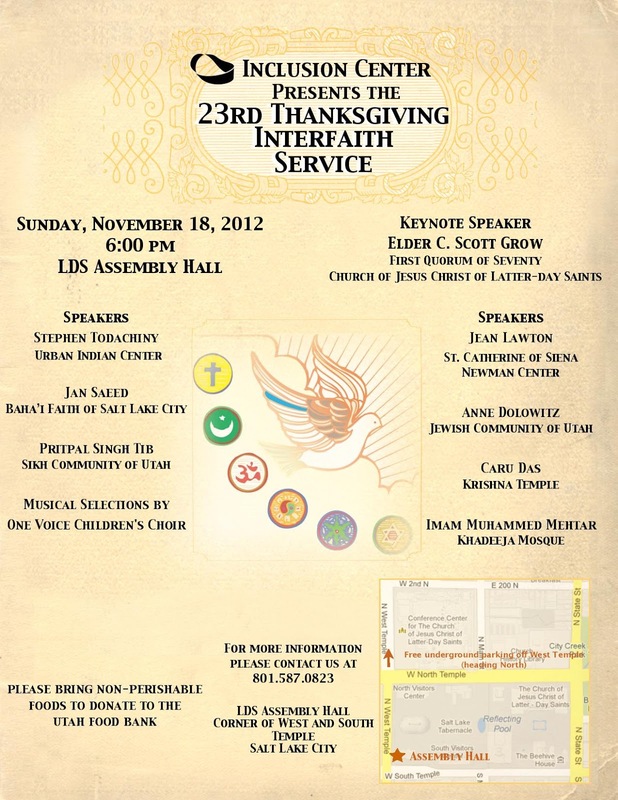 Join Elder C. Scott Grow of the Seventy and representatives from a variety of faiths in the Assembly Hall on Temple Square as they share messages of gratitude and unity during the Thanksgiving season. 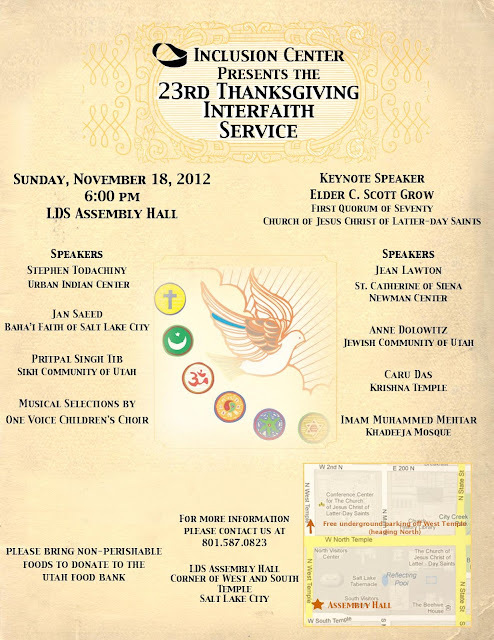 Catholic, Latter-day Saint, Jewish, Muslim, Baha’i, Sikh, Hindu, and Native American messages and prayers will be offered. Music will be provided by One Voice Children’s Choir. No tickets required. Event begins at 6:00 p.m.